Since 1928, Hollywood Piano has been the trusted home of the world’s finest pianos. 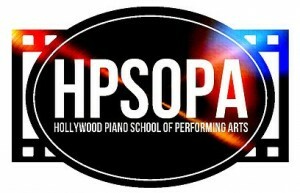 Now, 90 years later, we are thrilled to announce the Grand Opening of Hollywood Piano School of Performing Arts, affectionately known as HPSOPA. From toddlers to seniors, we have a program for you. Get excited about music again! Music lessons bring great joy for the entire family and add creativity to your education and life. We offer both group and private lessons with a faculty that understand and encourages musical expression. We offer private or group lessons in piano, vocal, guitar, bass, drums, strings & brass. In addition we offer professional training with programs such as The Film Scoring Institute, Baby & Me toddler music courses, The RockU Summer Program, The Hollywood Songwriter-Producer Institute, and The Cabaret Institute. Our unique programs make HPSOPA the premier educational institution for anyone seeking to further their knowledge. HPSOPA offers private in-home lessons and year long group classes and much more.